The latest update to the Google Maps app for Android introduces Latitude Leaderboards, a feature that gives you points for every check-in, just like Foursquare. The update was pushed over the weekend in the Android Market and builds on Latitude, Google’s less popular location service. Google didn’t make much noise about the feature, which is briefly documented in the Google Maps app support page, and available only to Android users so far -- the iOS version of the app does not have Latitude Leaderboards yet. If you already downloaded the updated app, you need to check-in to a location first to see the Leaderboard. 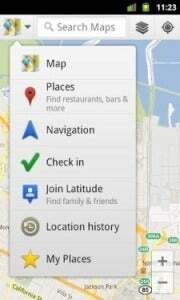 Until now, you could use Latitude to check in at various places to share your location with a list of friends. However, the new version brings a whole new element to the service: for every check-in at different locations you earn points, which are then tallied in a leaderboard against those of your friends. If this gamification of Latitude sounds familiar, it’s because this sort of functionality was made popular by a rival location service: for each check-in, Foursquare allocates a certain number of points and creates a leaderboard with your friends. Jamie Condliffe writes in Gizmodo that the Latitude Leaderboards is “a blatant Foursquare rip-off,” yet the mayorship element (you become the mayor of a place after a certain number of check-ins, and some venues even offer discounts and special offers for mayors) is from Latitude so far. Google’s social network, Google+, already offers a check-in feature, much like every major social network, including Facebook and Twitter. But the Latitude Leaderboards don’t appear to be hooked into Google+ yet. A pop-up message within the app hints that Latitude and Google+ check-ins will be linked at some point. The message reads: “Your points may be visible to other Google+ users, making it easier to find friends and play together. As always, your location and check-ins are visible only to those whom you've shared.” This suggests that you will be able to check in from Latitude and share with your Google+ circles, which are also used to display the leaderboard.